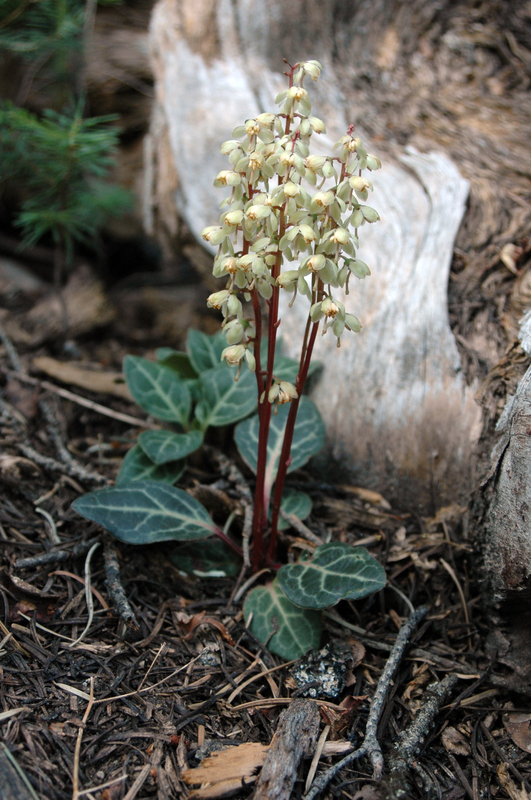 Pyrola picta is a species associated with coniferous forests of montane western North America. This species has been the subject of many of my studies. Pyrola is a genus of evergreen plants in the Heath family (Ericaceae) that captured me early in my botanical education and subsequently became the subject of many years of research. Many detailed descriptions of genus Pyrola (and the 35-or-so species therein) have been published and revised throughout the years. These descriptions are based on careful observation of Pyrola species throughout their geographic ranges, all in the northern hemisphere. A recent taxonomic classification of Pyrola based on molecular phylogeny was published in 2010 by Zhen-Wen Liu in the journal, Taxon. How have past glacial and interglacial cycles influenced lineage diversification? Do species with different physiologies (i.e., obligate vs. facultative mycoheterotrophs) exhibit adaptations to different microhabitat conditions? How do species maintain reproductive isolation when they are growing right next to one another? What is the advantage of having a mixed-mating system?